Acne can strike at any age. That is why it is important to have 302 Skincare Acne products. These natural products help to fight acne without causing skin irritation. You feel best when you look your best! Alana wants to help you look great; try 302 Skincare Acne today for great results. She offers seven products. Below are a few of the great products you can choose from! 302 Skincare Clarify – Clarify is a powerful Vitamin A cream that is used twice a week. Apply Clarity in the evening and leave it on your skin to utilize its full healing qualities. Or apply to skin before washing. This product helps normalize and balance skin. 302 Skincare Drops Rx- This all natural oil-free formula is so nice to use! It is a light cream that goes on smoothly. 302 Drops RX helps to improve the tone of your skin and helps to bring it back to its natural balance. You can feel this product work as it warms your skin. Serious medicine for fighting acne! 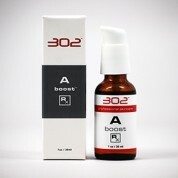 302 Skincare Acne Cleanser Rx- This is a very gentle formula. It is sulphur-based with no acid. This creamy formula will not dry your skin yet still has natural antibacterial and anti-inflammatory elements. Works very well on healing skin. 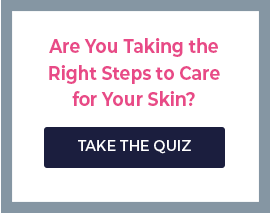 I Want to Try 302 Skincare Acne! Skin Care by Alana is the perfect place to buy your 302 Skincare Acne products! Since this is a strong tool in skin care defense, you will need to talk to one of our experts in order to purchase this product. Chat with us online or call us (888-222-0637) and let us help you find the right 302 product for your skincare needs. We are open seven days a week and ready to answer your questions! Contact us today and start on your path to more beautiful skin!